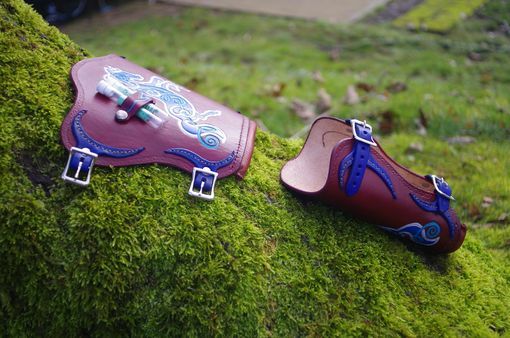 These Bracers are 100% Hand Made! 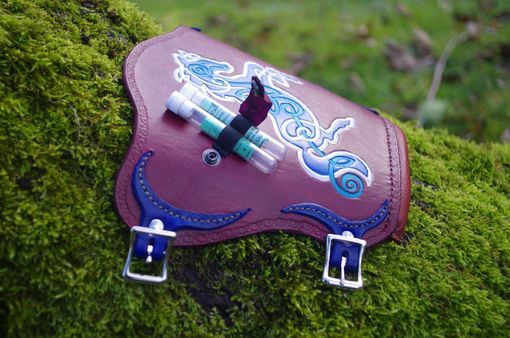 Made from Natural Veg-Tanned Leather, they are cut, tooled, stamped, dyed, embossed, assembled and finished by my hands. 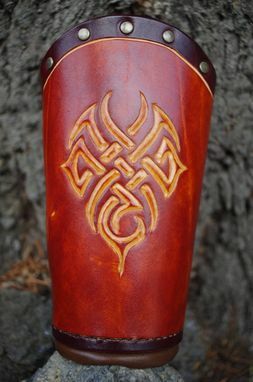 This listing is for a custom pair of bracers in two dye colors. The pictures show some of my work, with more on the way. 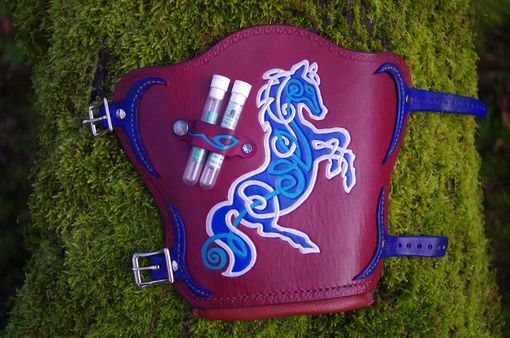 Accents can include, design stamping, runic or various font text, decorative stitching or riveting, real rabbit fur, interchangeable straps that can hold plastic vials, clips, rings, etc, or any specific conchos you have in mind. If there's something else you're interested in, I can most definitely work with you on it. 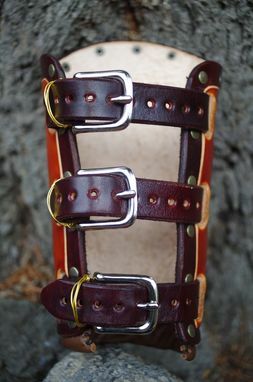 The wrist cuff edges can include a rolled soft leather padding preventing chaffing and irritation on the wrist and allowing for a much more comfortable fit. 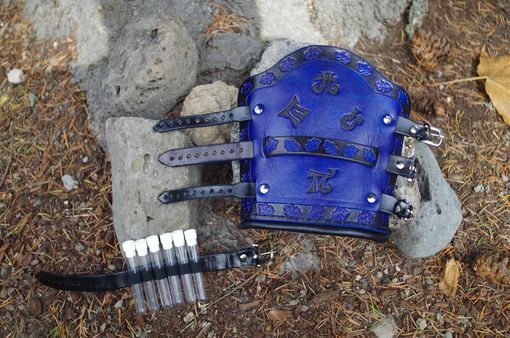 All edges are rounded smooth and gummed for protection and the entire bracer is then sealed with a protective finish, and buffed to a nice sheene. 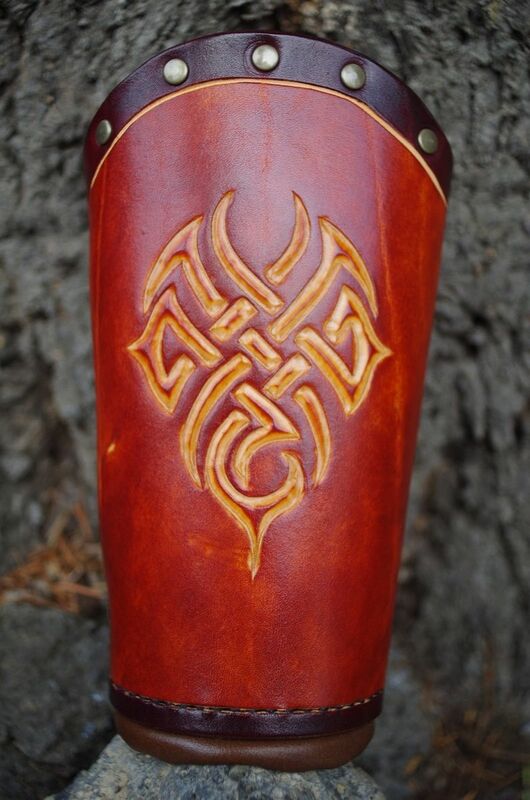 Forearm: 7 1/2 - 11"
As all of my leather goods are handmade, there will be slight variations in build and leather surface and from one item to another. This is normal. 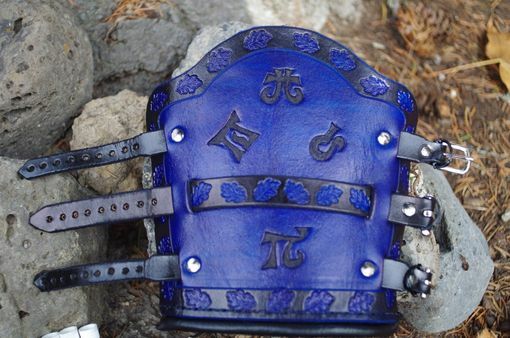 Thank you very much for shopping at LeatherStorm. I greatly appreciate your business!